This week on the Mullooly Asset Management podcast Tom and Brendan talk about saving money for college. 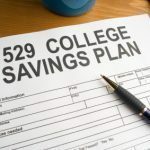 When it comes to saving money for college, we tend to get A LOT of questions about 529 plans here at Mullooly Asset Management. There is a lot of information that you should know about 529 plans before deciding it is the best choice for you. Tom and Brendan cover the pros and cons involved with these plans this week. 529 plans were one of the best inventions of Congress. They do just what they were supposed to which is offset the cost sending your child to college. We all know that the cost of attending college is not coming down anytime soon, so saving with that in mind is vital. This is what makes these plans a pretty important part of financial planning. There are some definite pros to 529 plans that you should know. One benefit of these plans is that it allows for one consolidated account as opposed to multiple accounts. All the money can be gathered and invested together, which is beneficial. The 529 account can be owned by the student, parents, or even grandparents. Although grandparents should be weary of having their name on the account! Learn the reason why in the podcast. There are also tax benefits (in some states) that come from saving for college through these plans. Also, you do not need to worry if the child you were saving for does not end up going to college because the acc ount can be transferred to another family member. 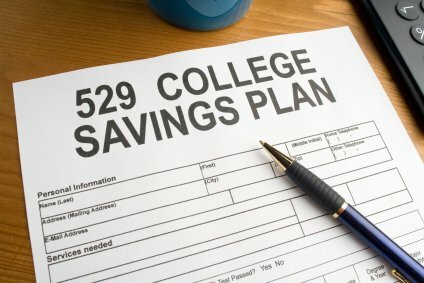 Some of the cons to 529 plans include the fact that the investments offered inside the plan are often loaded with fees. You need to be aware of these fees that come included with the plan before choosing to invest in one. There are also limited investment options in these plans. We sometimes joke that the options remind us of Neapolitan ice cream because of the lack of choices available. You can also only make changes once or twice a year in these plans, which can be potentially troubling at times. There is a lot to learn about 529 plans, and we think that you should be aware of the pros and cons that are involved when investing in one! Tune into this week’s podcast and learn more. Is a Roth IRA Ever Tax Deductible?